A research team from the Space Science Center at the University of New Hampshire is working on a project that determines the radiation environment around the Earth almost in real time. Taking up-to-date measurements from several spacecraft around the Earth, scientists insert the data in a specially tailored program that models radiation levels in pre-defined regions of the outer space. The active region 1520 which spit out an X class solar flare July 12, seen from the Solar Dynamic Observatory (Credits: NASA). “This is the first capability of its kind to determine the radiation environment and to specify it more or less in real time,” says Nathan Schwadron, PREDICCS lead developer. Of special interest for the researchers are the areas where astronauts travel these days or where they might travel in the future. Radiation in space is a result of highly charged energetic particles that originate either from the Sun or galactic cosmic rays. When ejected into space, these particles can pose a serious threat to the health of astronauts in orbit or at any celestial body lacking a protective magnetosphere like Earth’s. Short term exposure to the radiation can cause acute radiation sickness; high doses in the long term can result in fatal cancer. Mostly due to solar activity, the radiation levels in the near-Earth space are constantly changing. 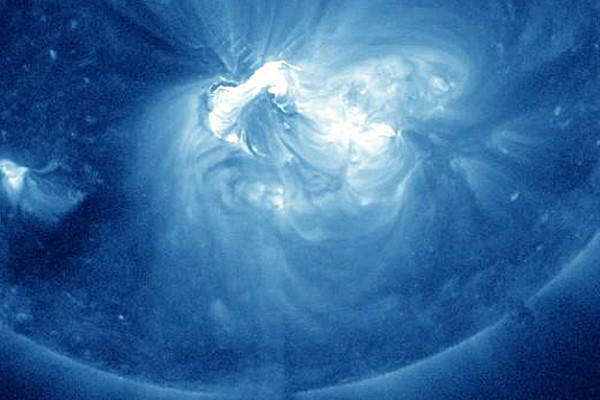 Solar flares or coronal mass ejections can release huge amounts of the charged particles. 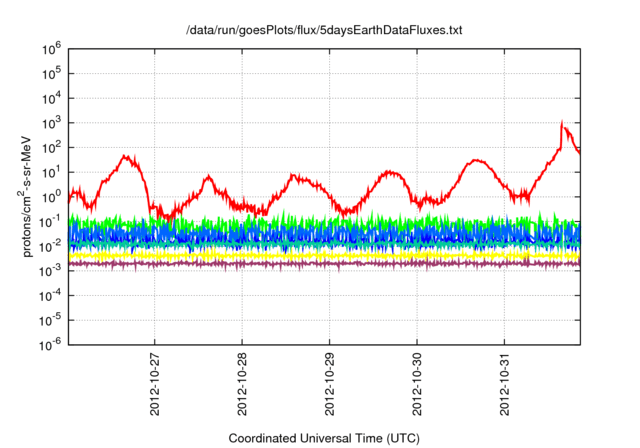 “The fluxes of solar energetic particles rise very quickly in less than an hour,” Schwadron said. “There’s very, very little warning.” This lack of time could, in an extreme scenario, be fatal to the astronauts in affected areas. The radiaton predictions calculated by PREDICCS (Credits: University of New Hampshire). On the other hand, when solar activity is weak, the solar magnetic field stops protecting the space around the Sun, including the Earth, from the radiation coming from galactic cosmic rays. PREDICCS uses data from NASA’s satellites SOHO, ACE, STEREO, Wind, SAMPEX, and the National Oceanic and Atmospheric Administration’s GOES. The output is later compared with space-based measurements of NASA’s Lunar Reconnaissance Orbiter at the Moon or NOAA’s GOES satellite. The next steps will probably include integrating data input from additional sources, for example from the Martian Curiosity rover. “If we had men going to the Moon tomorrow, we could certainly use something like PREDICCS to provide day-to-day, hour-to-hour updates as to the hazardous environment,” Schwadron concludes.